Our Energy Solutions products are the perfect cost-savings solution when it comes to replacing your pad's older equipment. Hayward continues to strive to develop products that are not only environmentally friendly but also benefit pool owners in the ease and operation of their products while providing energy savings. Providing you with quality you can trust, the Pro-Series high-rate sand filters incorporate the latest pool filter technology to ensure your pool is operating at its very best. AquaRite provides complete pool and spa sanitization using ordinary salt. It converts a small amount of salt – approximately one teaspoon per gallon of pool water – into a virtually endless supply of fresh, pure chlorine. 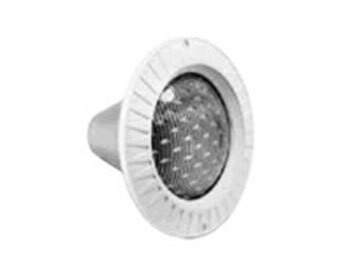 Available in a choice of attractive face rim models, from an injection-molded patterned design, made of rugged, noncorrosive glass-filled polypropylene; to a smooth, machine-polished stainless steel design, AstroLite Series light fixtures come standard in a wide range of voltages, wattages, and cord lengths to satisfy any installation. These versatile large capacity automatic skimmers feature an expansive 15.5in. skimmer face in addition to multiple throat lengths which provide installation flexibility and increased skimming action. They also include a 3/4 in auxiliary knockout port.